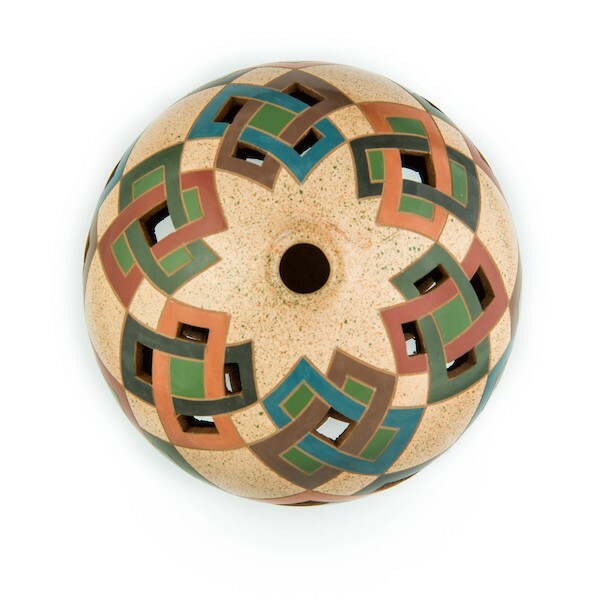 Pottery making has been part of the Nicaraguan culture since pre-Colombian times. 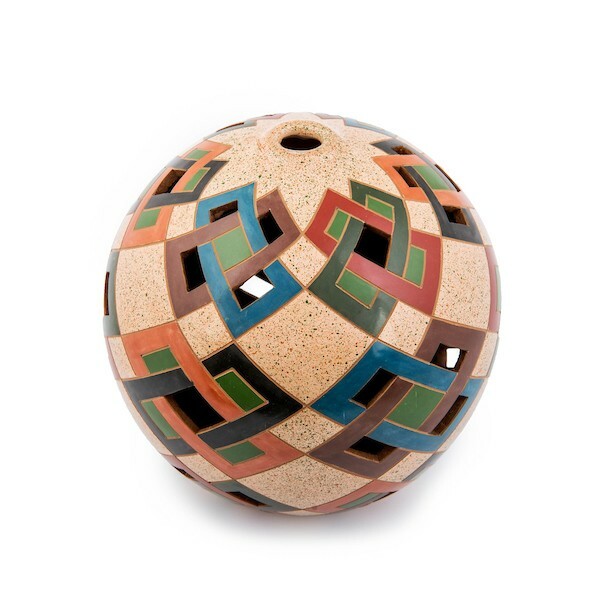 This round vase has a contemporary geometric pattern of different colors painted, delicately incised into the surface, and cut out. A beautiful example of a modern twist to a traditional art form.